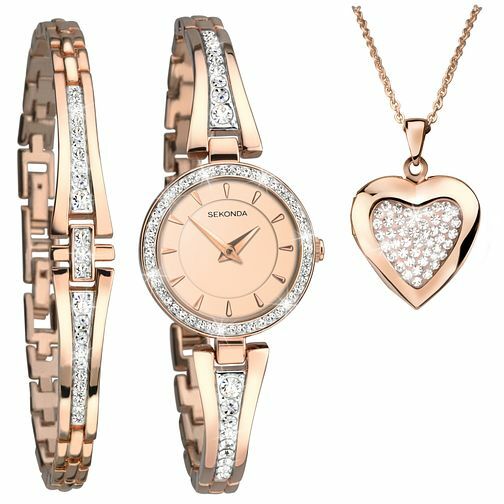 The 3-piece Sekonda Secret Rose Set showcases elegant and feminine design. The watch features a two-tone rose gold plated and silver coloured case and bracelet set with stunning clear stones. 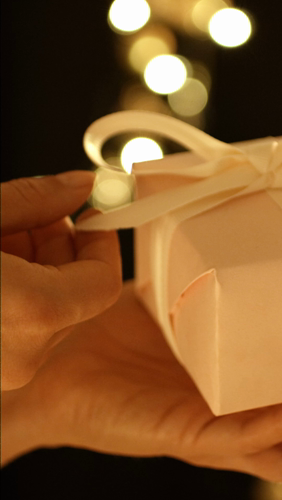 The case houses a complementing rose dial with contemporary batons. The set is finished with a matching stone set bracelet and heart-shaped locket. As seen on TV, proud sponsor of The Royal Variety Performance 2018. Sekonda Secret Rose Set is rated 4.9 out of 5 by 55. Rated 5 out of 5 by Anonymous from Beautifull Beautiful to look at, very comfortable to wear, would recommend to anyone who likes rose gold.